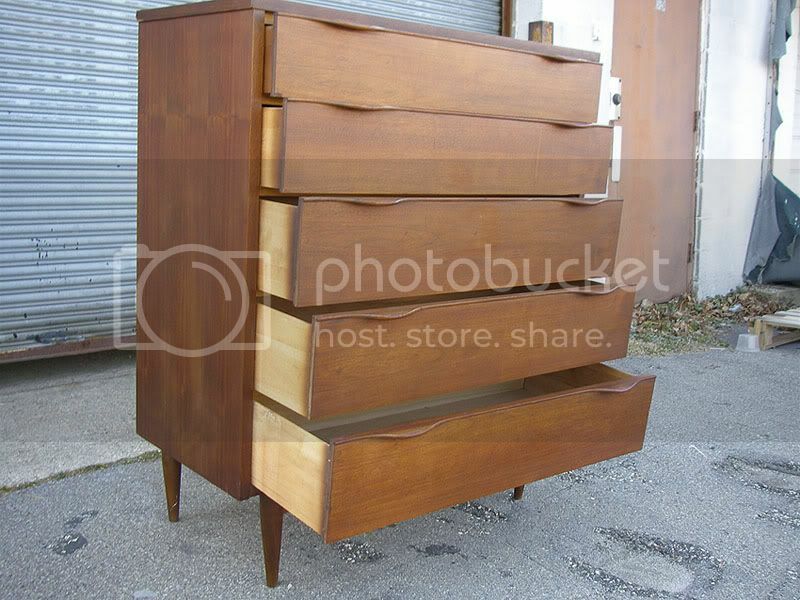 This is a Beautiful walnut wood Mid Century highboy dresser. 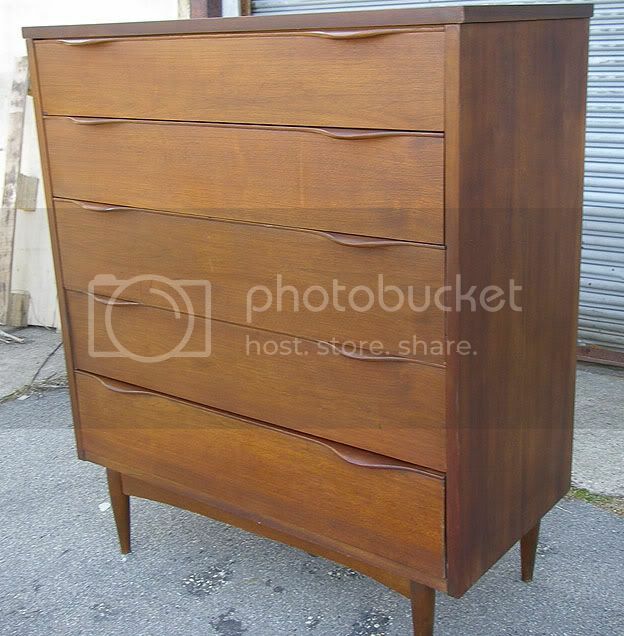 Featuring exquisite craftsmanship throughout, beautiful pull handles, dovetail joints and plenty of storage room. Blends well with any Mid Century, Modern Danish or Eames Era inspired interior. 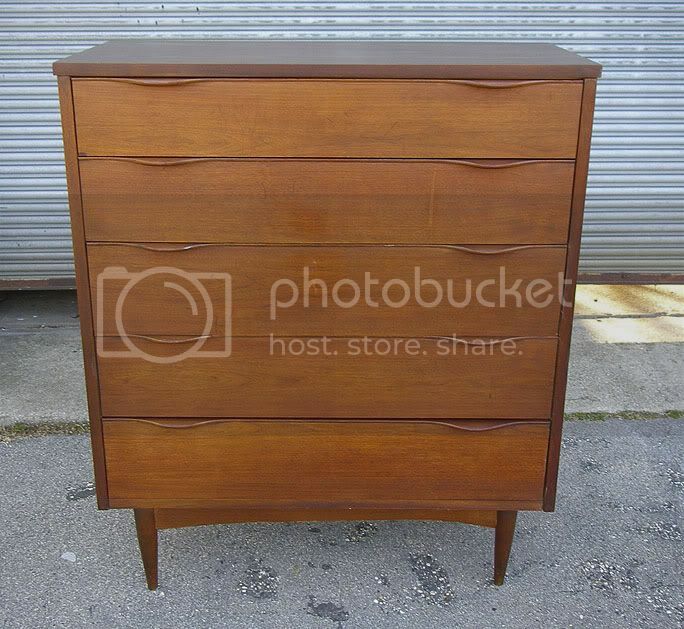 This highboy dresser is in very good vintage condition showing few signs of wear. Matching nightstand also available.